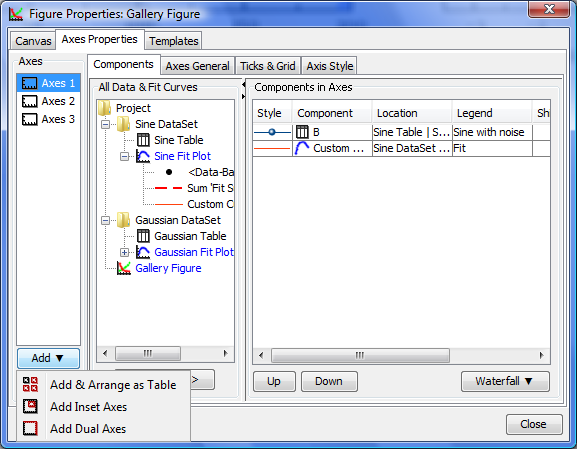 You can add a new Axes box to a Figure using the Add menu either in the Figure window or in the Figure properties dialog. 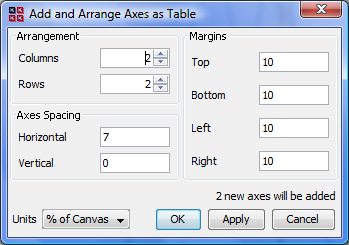 The Add & Arrange Axes as Table menu item can also be used for arranging of the existing Axes boxes as a table. This dialog opens by selecting Add & Arrange Axes as Table menu item. It may be used for adding new Axes boxes and for arranging the existing Axes boxes without adding a new one. Click on the Axes box border to select it. The green markers identifying your selection appear. Drag Axes box border to move the Axes box on Canvas. 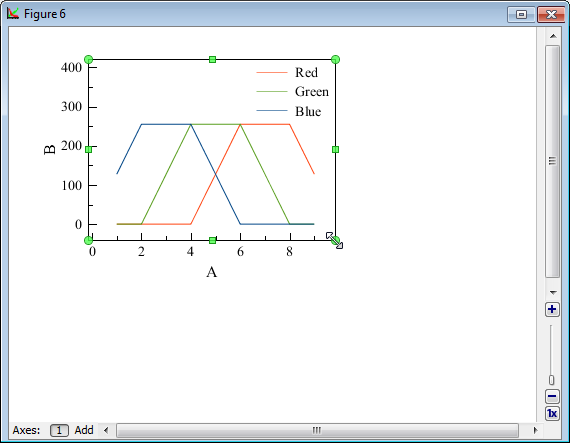 Draw border marker to resize Axes Box. 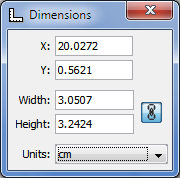 The Using of Dimensions Toolbar toolbar can also be used to set exact Axes box size and position. 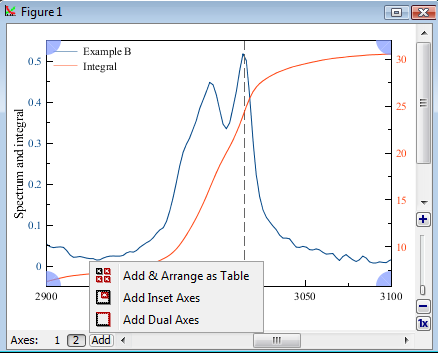 Open the Dimensions toolbar and select an Axes box to edit the values.